Schlumberger is the world's leading provider of technology for reservoir characterization, drilling, production, and processing to the oil and gas industry. Working in more than 85 countries and employing approximately 100,000 people who represent over 140 nationalities, Schlumberger supplies the industry's most comprehensive range of products and services, from exploration through production and integrated pore-to-pipeline solutions for hydrocarbon recovery that optimize reservoir performance. In regards to the company’s massive number of hired staffs, Schlumberger not only established that their workforce management requires an upgrade but the solution implemented must also be robust enough to better manage the employees’ attendances and access control. As such, the company decided to request for assistance from our UAE reseller, Hutaib Infotech Solutions and was likewise introduced with FingerTec R2. 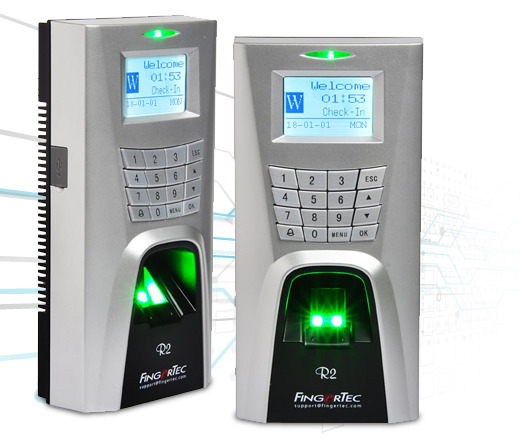 FingerTec R2 is one of the many advanced biometric terminals provided by FingerTec that utilizes biological traits to enhance the security and efficiency of a company’s workforce. Dubbed as FingerTec’s bestselling terminal, the R2 is the ideal fingerprint system for Schlumberger, which is looking for a solution armed with both robustness and practicality; without compromising on the security aspect. Having a total of 3 clocking option (Fingerprint, Card, Password), FingerTec R2 offers a solution like no other and employees in Schlumberger can thus clock-in their work time efficiently regardless of the amount. Schlumberger is currently utilizing FingerTec R2 along with its bundled software; installed at its office in the Dubai World Trade Centre and is very satisfied with the capabilities provided by FingerTec R2. That said, at FingerTec, we provide advanced biometric solutions that are affordable and practical for the Workforce Management and Security Industry. Check out our array of sophisticated biometric products by clicking on the link below.